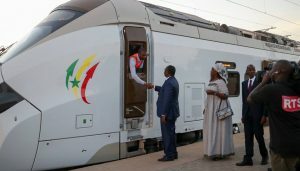 On January 14, the President of Senegal, Macky Sall, officially launched the railway services on the 36-km Dakar – Diamniadio line, which is the first section of Dakar – Blaise Diagne International Airport (AIBD) rail connection. In 2016, Senegal’s National Agency for the Promotion of Investments and Major Projects, APIX, awarded Alstom a contract for the supply of 15 Coradia Polyvalent regional trains. The first Coradia train was successfully received by the customer last September at the Alstom site in Reichshoffen, France, where it is manufactured. Since then, three trains have already arrived in Dakar. The Coradia Polyvalent train for Senegal is dual-mode electric and diesel and can travel at speeds of 160 km/h. The train is 72 metres long in total and consists of four cars, providing the capacity for 400 passengers, and includes a first and second class. 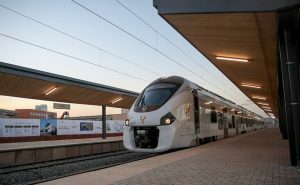 The passenger is of primary concern for the Coradia Polyvalent trains for Senegal, designed to meet Dakar’s growing mobility needs. Suited to the climatic and environmental conditions of the country, they are equipped with a highly efficient air conditioning system, and their low floor facilitates access and movement on board, in particular for passengers with reduced mobility. 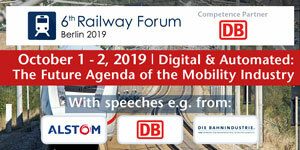 The trains will run on the new line linking the centre of Dakar to Blaise Diagne International Airport (AIBD) in Diass that will have a total length of 55 km and 14 stations. 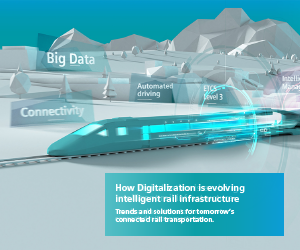 In 2020 the new line will be operational when the trains will cover the distance in 45 minutes. The number of passengers is estimated at 115,000 per day. 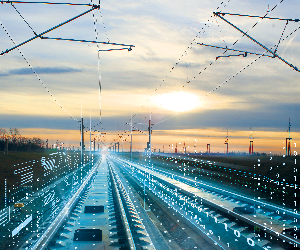 For this project, ENGIE Ineo and Thales were awarded the contract for the design and construction of rail electrification, revenue collection, signalling, and telecommunication systems.